18650, 18500, 14500, 26650, 10440, Batteries. Don't mix brands or new and used cells. Not for Streamlight or Surefire flashlights and some others. 14500 Ultrafire Rechargeable button top. Intended for building battery packs. 4 cells in a package Rechargeable AAA size Lithium protected cell. 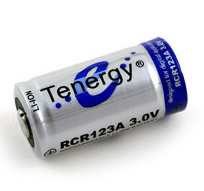 This is not a replacement for AAA batteries as the voltage is 3.7 volts. RCR123A Rechargeable CR123 Li-ion with full PCB protection. 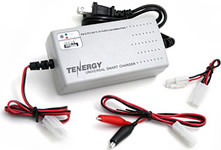 Use only with Tenergy 900mAh charger above. TB6B 01435 Balancing Charger Designed to balance charge NiMH/NiCd/Li-Ion/Li-Po/LiFe/SLA battery packs.